Narlene Way Pismo Beach is located off James Way south of 4th Street in Pismo Beach just East of Highway 101. The Narlene Way Pismo Beach area is close to the Pismo Coast Shopping Plaza and the Pismo Beach Premium Outlets, as well as two fast-food restaurants and two gas stations with easy freeway access. The 23 residential single-family homes are single level, built between 1984- 1985, mostly wood exterior, Composition roofs, and two car garage homes, that range in Square feet from 1100 to about 1465 Sq. Ft. The street has a cul-de-sac so no thru traffic, nicely maintained yards and homes. Narlene Way is the only street in the development of homes. The Narlene way area does currently have a small HOA of about $65.00 paid Quarterly or $260 a year. If you are looking to list your Narlene Way Pismo Beach home in the next few months please go to www.FreeHouseQuotes.com to request a market analysis of what similar homes in Pismo Beach are selling for. If you are looking to buy a home in Narlene Way area or Pismo Beach please click here to view all homes currently listed for sale in Pismo Beach. The Narlene Way in Pismo Beach can make great second homes, or a long-term Rentals for investment. If you are an investor looking to use the buy and hold strategy or invest into the Pismo Beach Real Estate Market please contact me about other multifamily properties or large units that may fit your needs. See what others have to say about us! Outland and Associates Real Estate Yelp Reviews servicing the Central Coast Real Estate Markets. 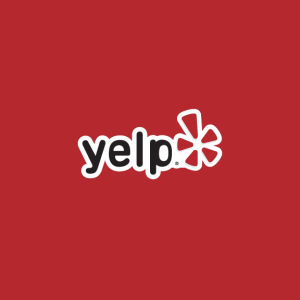 Yelp reviews, see what others have to say.